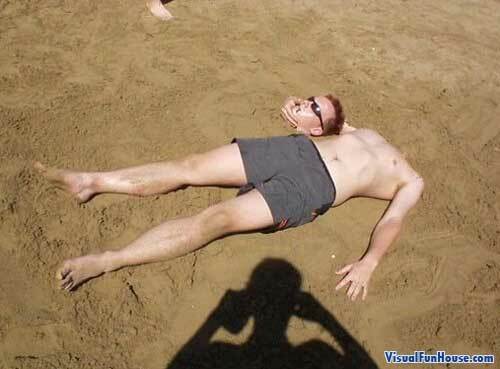 Headless Sun tanner on the beach is a simple eye catching little trick you can try next time you are at the beach. At a glance it appears that the guy is headless holding his own head at his side. We don’t recommend trying to actual remove your head so you will need a willing participant to do this trick along with you. All it takes is 2 people and a lot of beach sand, just be sure if your the one loosing your head you don’t eat any! Have you made your own headless illusion? be sure to submit it!